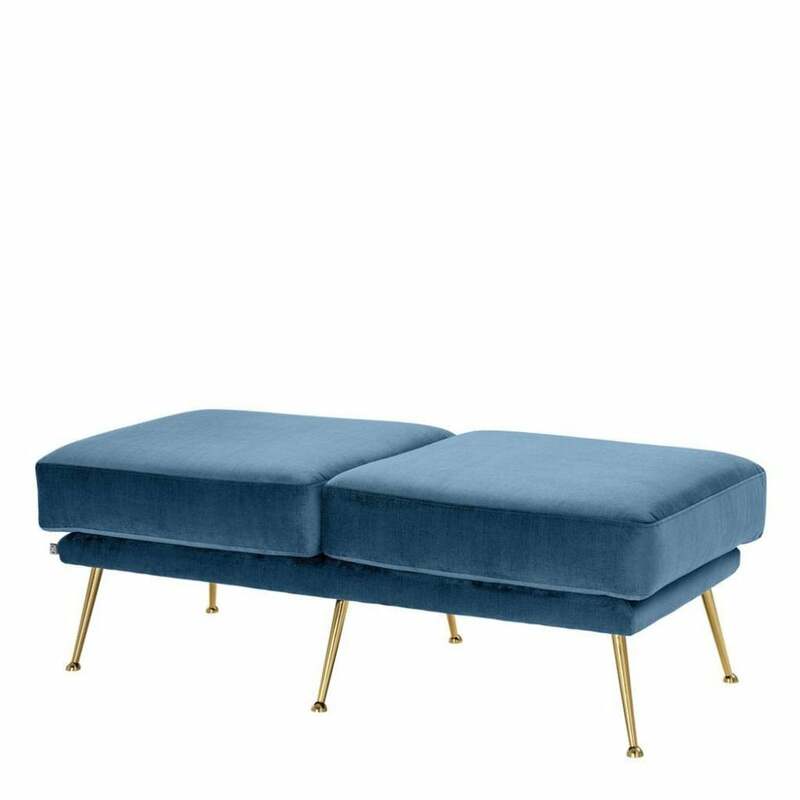 Inspired by the retro styles of the mid-century modern era, the Tahoe Bench by Eichholtz is a must-have piece for any design lover. This two seater bench features an ultra-padded double cushion seat with foam fibres and nylon webbing to provide maximum comfort. Tahoe can be upholstered in a range of rich coloured velvets including granite grey, emerald green and royal blue velvet. Completed with polished brass feet, the warm metallic hue complements the beautiful velvets to lift and enhance your interior scheme. Position Tahoe at the foot of your bed for a touch of boutique hotel style or add to a dressing room suite to create a glamorous look. Tahoe also works beautifully as an additional seat within a luxurious living room. Make an enquiry for more information.